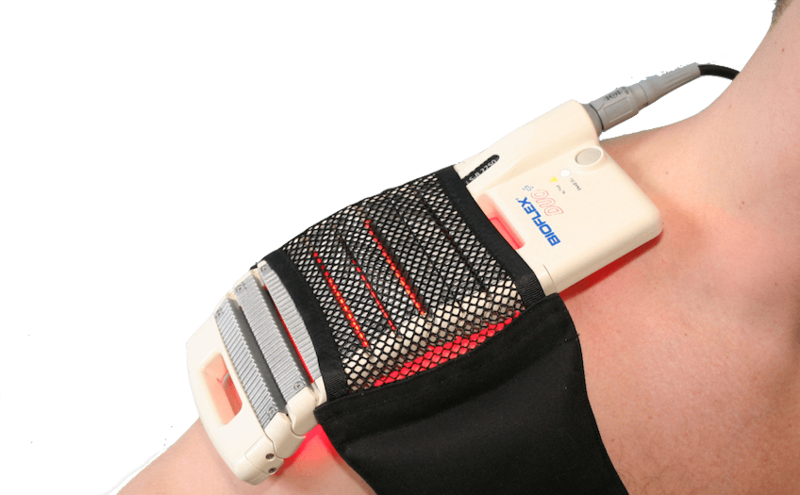 Laser therapy is used to eliminate pain and promote healing for a variety of medical conditions. 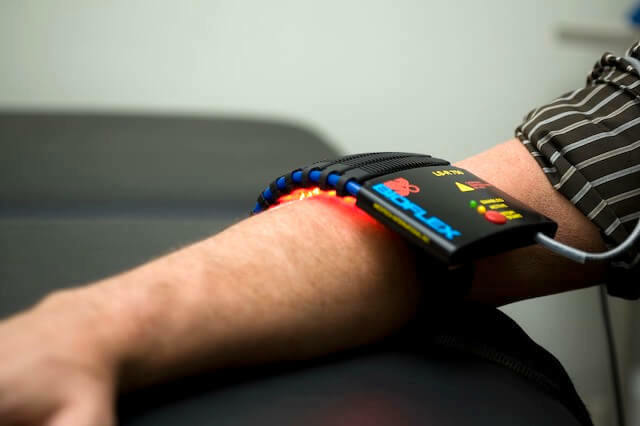 Laser therapy is the use of light from a Low-Intensity Laser Diode or an array of Superluminous Diodes to eliminate pain, accelerate healing and decrease inflammation. Laser therapy does not heat or cut tissue, unlike high-intensity lasers. 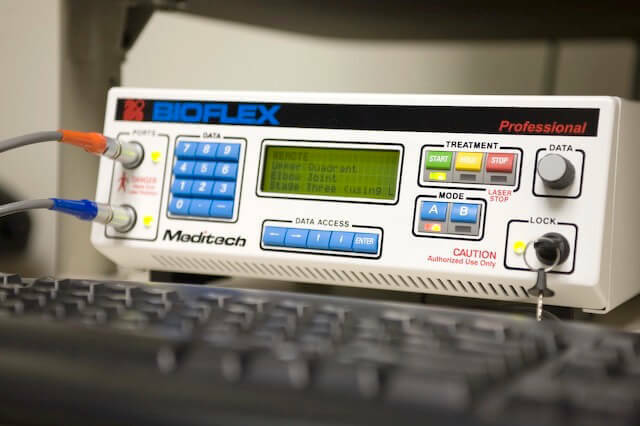 Many pharmacological treatments mask pain or only address the symptoms of the disease; Laser Therapy treats the underlying condition or pathology to promote healing. The treatments are effective, and the benefits of laser therapy are long lasting. Dentists to treat damaged oral tissue. Dermatologists to treat ulcers, burns, edema, and dermatitis. Rheumatologists for the relief of pain, and treatment of chronic inflammatory and autoimmune diseases. Sports medicine and rehabilitation centers to decrease pain, reduce swelling and improve function.